Here are some of the words I think of when I viewed the Amsale Collection- romantic, whimsical, elegant, ethereal and STUNNING!!!!! 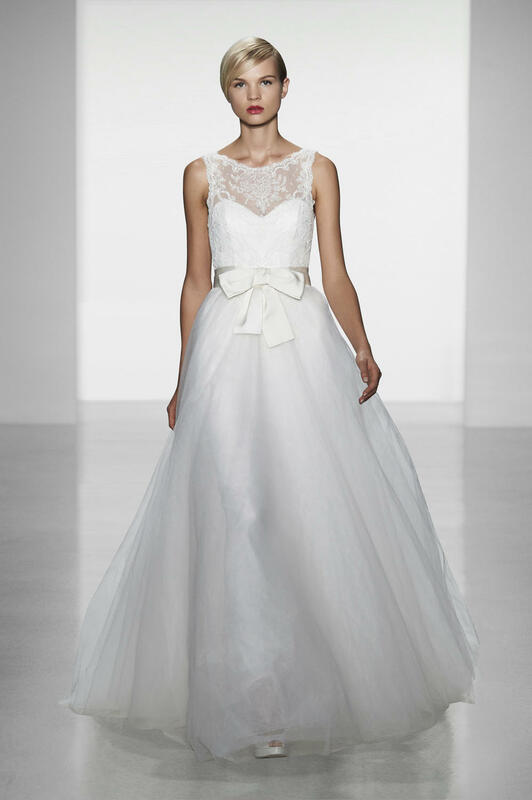 QUINN-French lace bodice with full tulle skirt and lace under layer. Silk ribbon bow at waist. 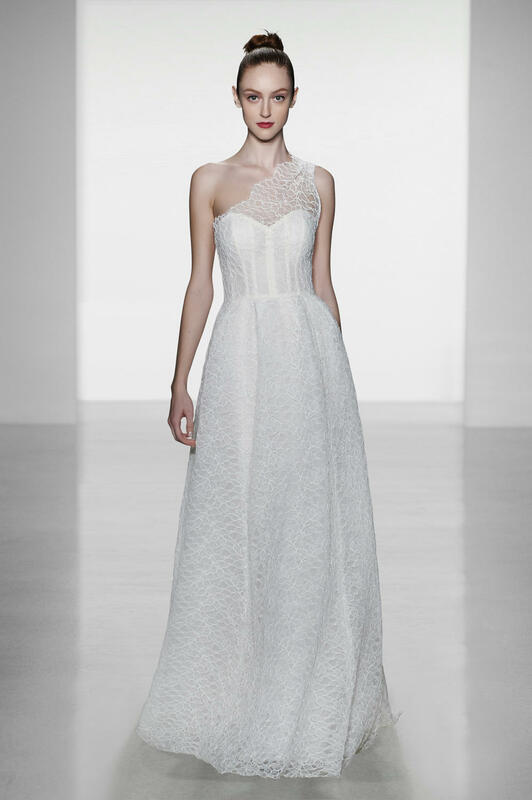 SKYLAR- Corded lace one shoulder bodice with shaped skirt and silk organza flower detail at back. 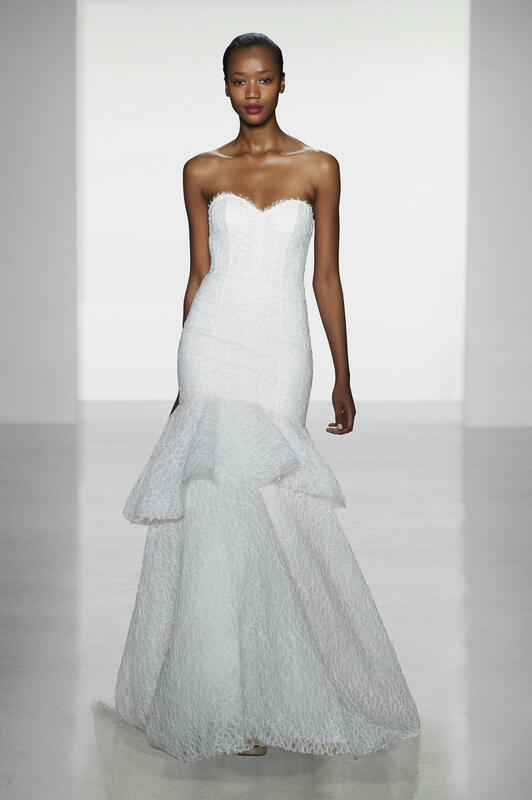 SAWYER-Lace and tulle fit to flare rouched bodice gown with soft layered tulle skirt. Corded lace frames top bodice. 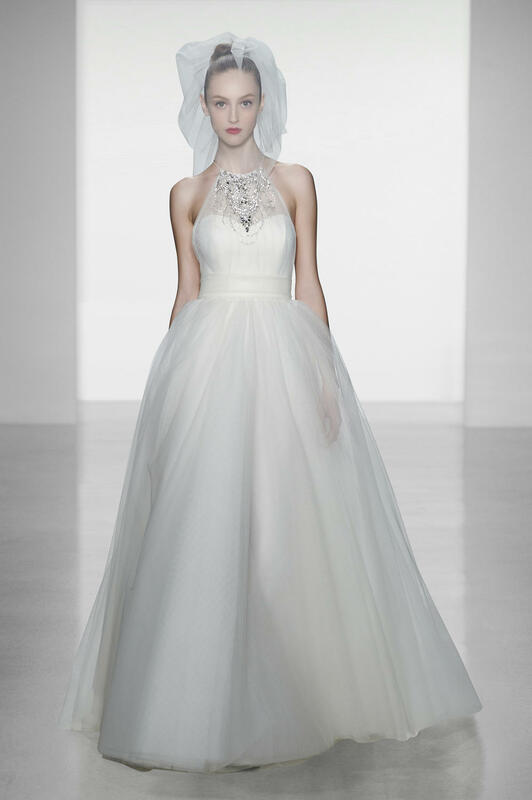 WHITNEY- Tulle hand beaded jewel halter neck gown with sheer back and full skirt.